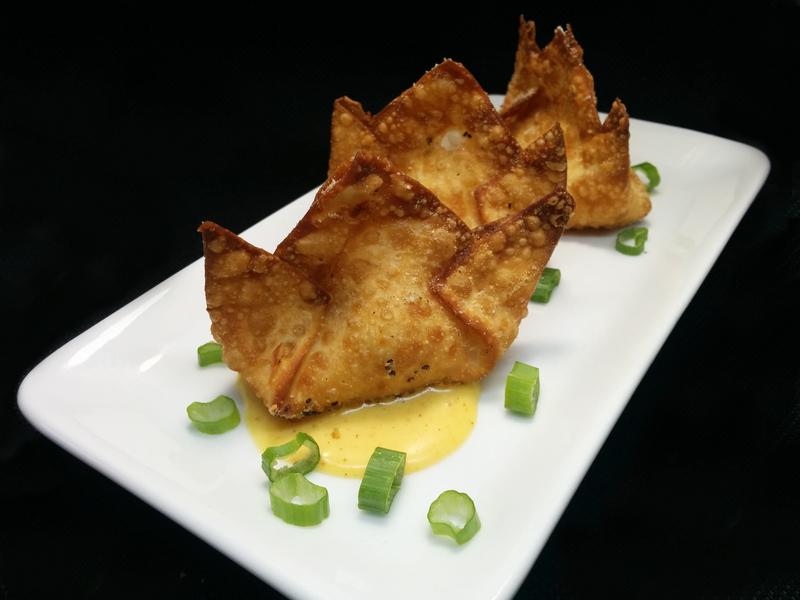 These indulgent wontons are stuffed with classic New York breakfast ingredients and then deep fried to a toasty golden brown. This is a brunch recipe that will surely wow your guests when served alongside a rich and savory hollandaise sauce (recipe also below). Serves two; double or triple recipe evenly for more. Add cream cheese, smoked salmon, red onion, garlic, capers, and Infinity seasoning blend to a medium sized bowl. Mix with a fork until uniformly combined. Lay wonton wrappers flat on a cutting board. Add one heaping teaspoon of the cream cheese mixture to each wanton. Moisten the edges of the wonton wrappers with water using your fingers. 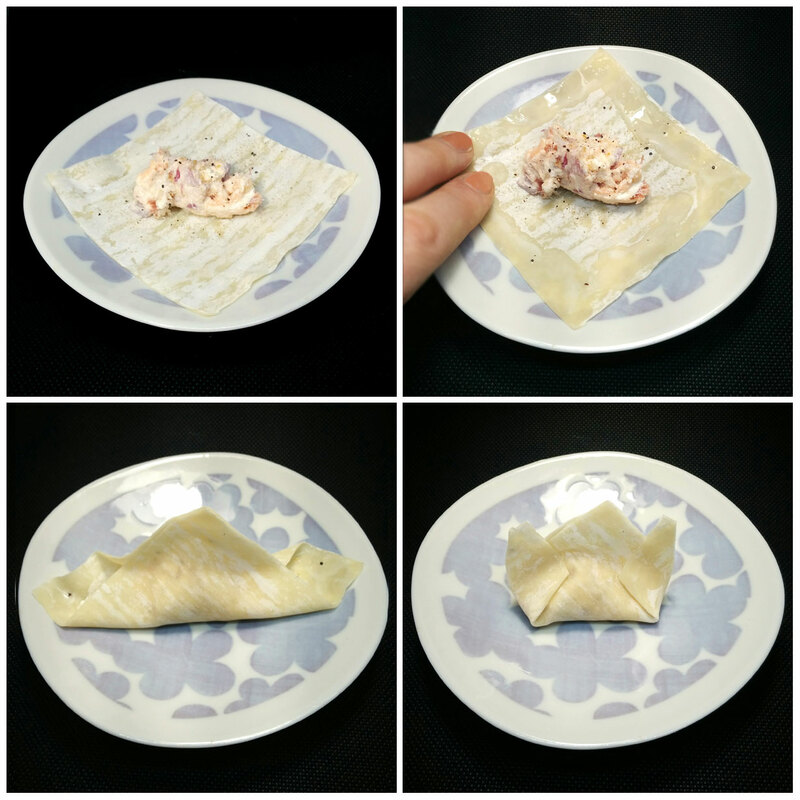 Fold the wanton in half and seal the center point. Fold each side up and over the center point, creating a three-pronged crown shape. Run your fingers along the edges to make sure they’re sealed. Add a little water to reseal if you find any leaks. Cook, submerged in oil at 350°F for 2-3 minutes, or until golden brown. You may need to turn the wantons in the oil as they tend to float on one side. Make sure your yolk is clear of all egg white. Using a whisk, add melted butter a couple drops at a time until an emulsion is formed. Then add lemon juice, cayenne, salt, and nutmeg. If your hollandaise is too thin, add a little more melted butter until it is the desired consistency. 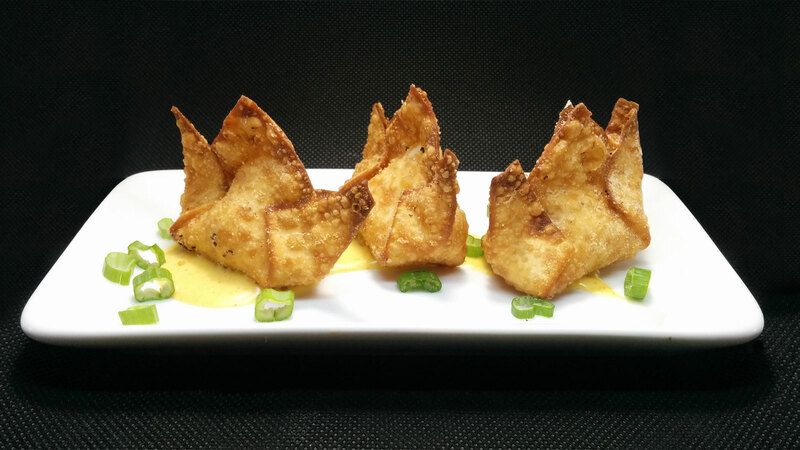 Smear on the plate, drizzle over wantons, or serve on the side.